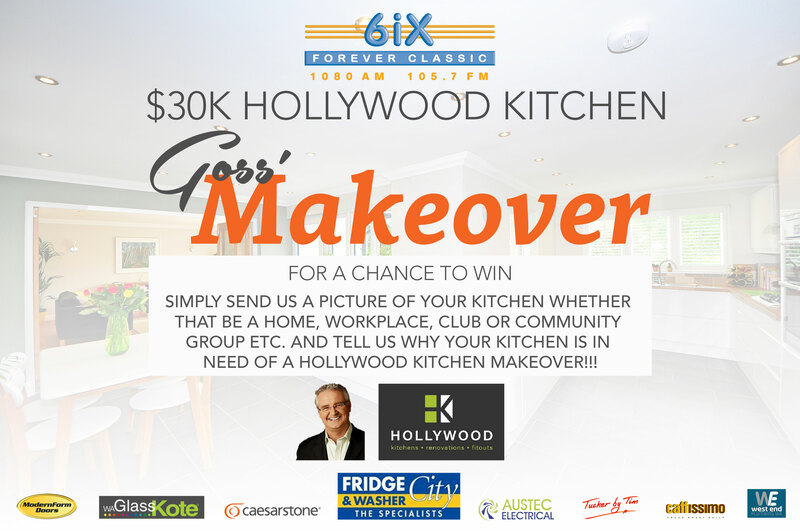 Don’t forget, entries into Goss’ $30,000 Hollywood Kitchens Perth makeover kick off tomorrow! We want to see pictures of YOUR kitchen to let us know why YOU deserve this amazing prize. Whether it’s your kitchen at home, at work, at a club or community group, we want to see them! Upload your photo to the 6iX Perth website from tomorrow afternoon to go into the running to WIN!